Juan Luis Rubiales at The Lounge! The next event at The Lounge is a lecture from Juan Luis Rubiales on Thursday 5 November. 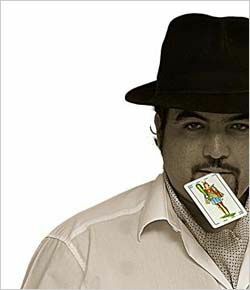 Juan Luis is one of Spain’s most renowned magicians. His teachers were Leon Camacho, who taught him the craft of prestidigitation, and Juan Tamariz, who introduced him to the field of psychology and performance skills. He is a past Close-Up Champion of Spain. He performs extraordinary magic with coins and knives and has devised new techniques in this area, developing original routines that demonstrate his high level of creativity and original thinking. Those attending this event will discover that the magic of Juan Luis Rubiales is for everyone who loves our craft, whatever their level. Much of his work depends on an understanding of method and techniques rather than complex technical prowess. 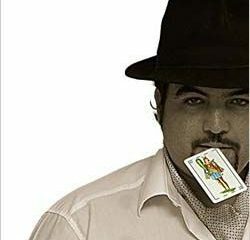 A pure product of the Spanish School of magic, Juan Luis is a worthy heir to Juan Tamariz: beautiful magic but especially a very strong personality and a creative spirit that is infectious! The lecture is at The Magick Lounge, Broad Street, Sheffield, S2 5TG, on Thursday 5 November at 7.30 p.m. Doors open at 7:03. Entrance is free for Sheffield Circle members, £10 for visiting magicians. In keeping with the bonfire night date we are sure to see some sparkling and colourful magic!